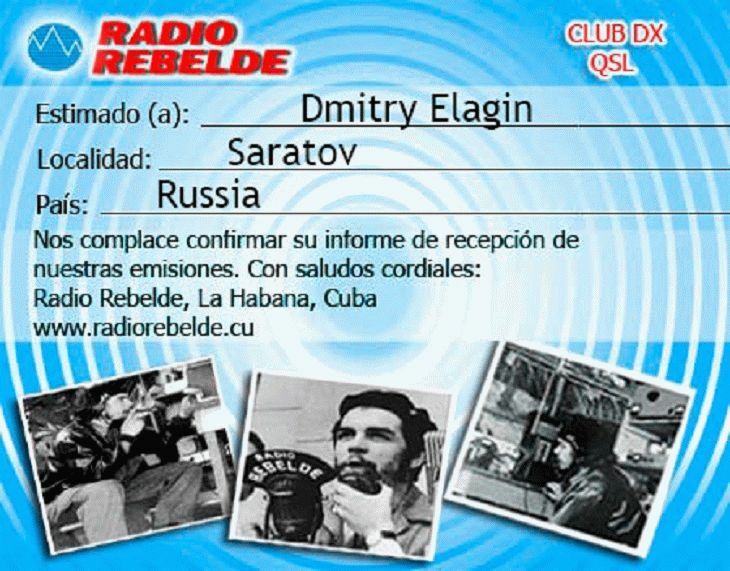 e-QSL получена после общения с Yirian García de la Torre - Web editor. We have received your report listening. We are pleased to send the Qsl card and have it among our fans. Thank you for your tune.